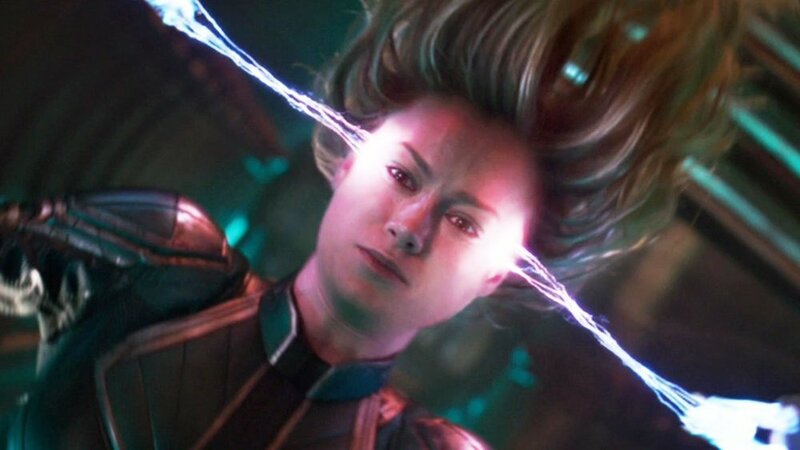 During Monday Night Football this week, Marvel released the second trailer for their next superhero romp Captain Marvel. I wasn’t impressed. The ending was pretty awesome apart from Marvel’s weird CGI issues, but the trailer was missing something. I felt the same way about the initial trailer but that was a teaser, so it was to be expected. I read an article that said Marvel did something with these trailers that they never do, specifically with origin stories: They didn’t explain who she is, who the bad guys are or why we should care. Are they riding the coattails of the Avengers: Infinity War and Avengers 4 tie-ins? Bad decision-making by the powers that be? I don’t know. But, I can help. Well, at least as far as the foundation for the movie. If you’re a fan of the MCU and the comics, you know Marvel takes liberties where they feel they must or desire to. That will be no different in this case, so the information coming is only to serve as a generic ingredient list that the cooks behind the camera/pen will do with what they will. So who the hell is Captain Marvel anyway? First things first, Captain Marvel is in no way, shape or form to be confused with Captain Marvel. Nor is she to be confused with Captain Marvel. I’ll save you some trouble, there have been 7 characters with that name under the Marvel banner. Seven. There’s even been a Captain Marvel under the DC banner. Yea. Back in the 40’s there was a company called Fawcett that produced a Captain Marvel comic. That character was basically ‘if Superman was based on magic and was also secretly a little boy’. Sound familiar? Shazam! Right. He was also wildly more successful than the Superman comics at the time. Long story short, DC bought the characters in the Fawcett stable, including Captain Marvel but when they used him they couldn’t name the comics Captain Marvel because Marvel had already trademarked the name. Marvel would sue the pants off of them. So the comics would be called Shazam, while he was called Captain Marvel within the comics. In 2011, they said “to HELL with Parliamentary procedure! Let’s wrangle up some cattle!” (Family Guy reference) and changed his name to Shazam, the name of the wizard who gave Billy Batson (child Captain Marvel/Shazam) his powers. Shazam is also what’s said by the boy to turn into the man. Another article on him later, that will be way less confusing than that was. So that takes care of DC’s Captain Marvel. Carol Danvers is the iteration of Captain Marvel that will be showcased in the movie next year. She was born half-human/half-Kree (in some tellings). She grew up with a father that didn’t believe women to be equal to men and sent her brother off to college instead of her even though she had the superior grades. Carol took off and joined the Air Force in order to pay for college and became a rising star. Danvers went into the Air Force special forces before eventually joining NASA. There she became privy to a war between ancient alien races known as the Skrulls (the old lady she punched as well as that green ogre thing in the trailer) and the Kree. She befriended a Kree superhero known as Mar-vell a.k.a Captain Marvel (this may be the character Jude Law is playing, but we don’t know for sure). Yea. Gross. Mar-Vell. Marvel. Anyway, one of Mar-vell’s enemies kidnapped her and during the fight to stop the alien, a damaged Kree machine called a Psyche-Magnetron (yuck) exploded near her. The machine was said to make imagination a reality. This gave her the powers she wields. In other tellings, it was the proximity to Mar-vell, as well as the explosion that ultimately re-wrote her DNA, giving her special abilities and a third brain lobe. Yea. 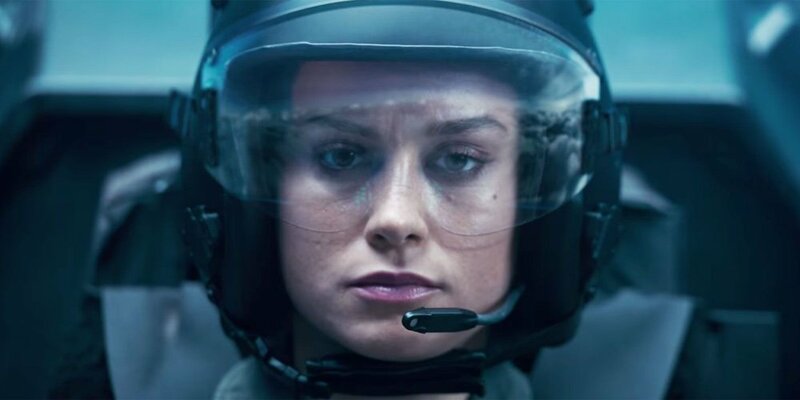 Carol as an Air Force pilot. Because of the trauma and weight of what happened to her, emotionally and physically, she developed another personality. She would blackout and become a Kree warrior in order to fight crime. She had no memory of this and it wasn’t until Ronan the Accuser (who we know will also be in the movie) helped her regain her memories that she began fighting crime consciously, under the name Ms. Marvel. She fought alongside almost every superhero team out there and made quite a name for herself. However, later on in her career she was kidnapped and experimented on by the alien Brood. As a result she gained vast, new powers and called herself Binary. In this form she was insanely more powerful with “star-level” energy, said to be the result of accessing a White Hole, as opposed to a Black Hole. She initially lost this ability while trying to save a sun, but it appears that she can absorb energy at will, and if she absorbs enough she can re-enter that state. Being experimented on? Is this where Ronan helps her with her memories? So that’s the gist of who she is. What can she do? She has the powers of flight, super-speed, energy projection, energy field creation and energy absorption. She’s beaten the likes of Iron Man, the Hulk and Vision. While in Binary form, she literally destroyed a planet. So….yea. She’s kind of strong. Kame…hame…..ha ha ha ha ha ha… sorry..
What’s she got to the do with the Avengers? Well, as you saw in the trailer, she and Nick Fury (Samuel L. Jackson) spend a lot of time together. She’s his first superhero. Given how powerful she is, he knows that when the really, really big guns need to come out, he can ask for her help. Something happens between her movie (takes place in 1995) and the Avengers film that leads us to believe that she should only be called in case of extreme emergency. Like a ‘break in case of emergency’ superhero. How extreme? How about everyone around you being rendered into non-existence? Even though Marvel really shortchanged us as far as character endearment, one can only assume this movie will do super well. She’s Marvel’s first female MCU heroine to get a solo movie, as well as being tied to the events of Avengers: Infinity War and Avengers 4. So if this movie doesn’t make over 90 million the first weekend, I’d be super surprised. If they can get the marketing right, the sky’s the limit! Anna Boden and Ryan Fleck are directing Captain Marvel, which stars Brie Larson as Carol Danvers, aka Captain Marvel (even though that may not be Danvers' Starforce name), along with Ben Mendelsohn as Talos, Lashana Lynch as Maria Rambeau, Gemma Chan as Minn-Erva, and Jude Law in an undisclosed role (though it's possible that he's playing the Marvel character Yon-Rogg). Furthermore, Captain Marvel also sees several returning faces from (future) Marvel Cinematic Universe movies: Samuel L. Jackson as Nick Fury, Clark Gregg as Phil Coulson, Djimon Hounsou as Korath, and Lee Pace as Ronan the Accuser.